I was recently reminded of this story, which was published originally in “A Vision of Vygotsky,” a book which Le Putney and I wrote and published in 2002. I’ll post the complete citation at the end of this blog post. 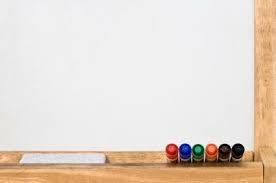 Yes, in this article, you will learn a little about the Zone of Proximal Development (ZPD), a little about educational thought leaders, and a little about how to clean a white board, when it has been smeared with red permanent marker. The ‘mumbo jumbo’ comment near the end of this story came from a student. Yes, this really did happen–you cannot make up stuff like this. Wink, J., & Putney, L. G. (2002, pp. 104-107). A vision of Vygotsky. Boston, MA: Allyn & Bacon.